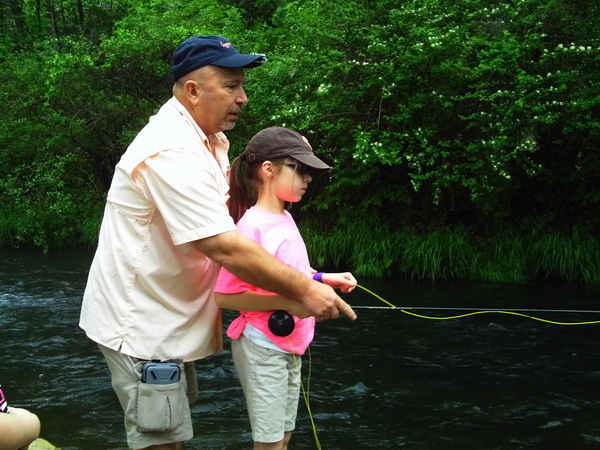 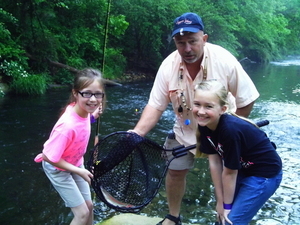 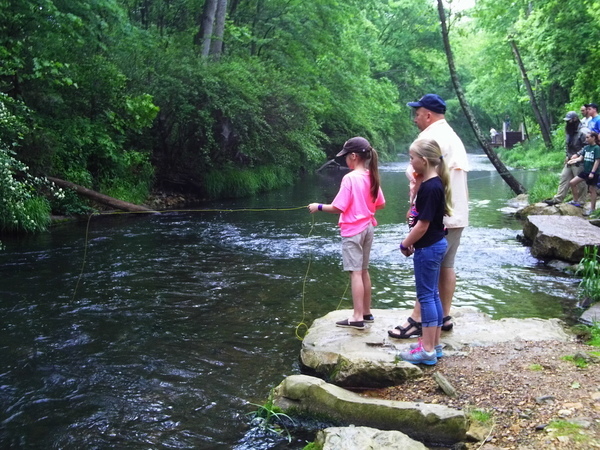 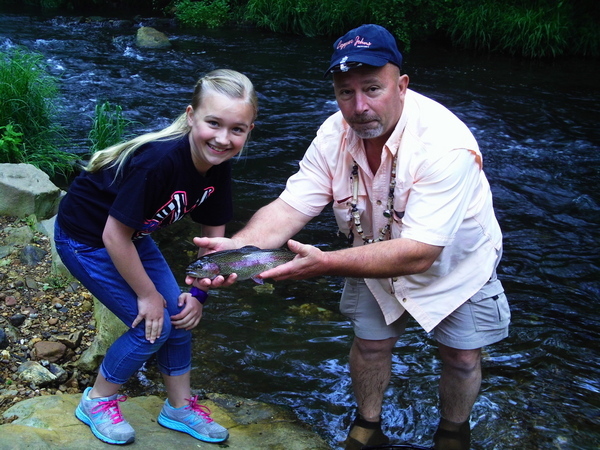 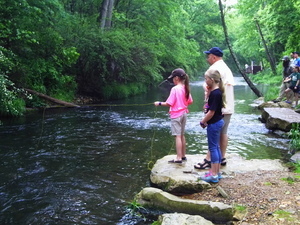 May 17th, found Ryan McDonald of Copper Johns Resort, over at Dry Run Creek over by the Norfork Hatchery, teaching 4th graders from Mountain Home Schools how to fly fish ! 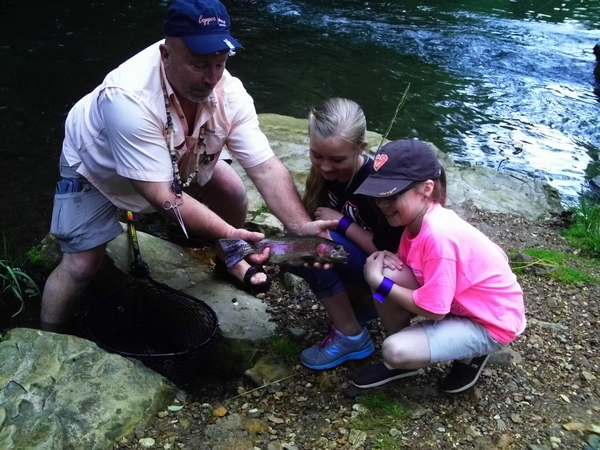 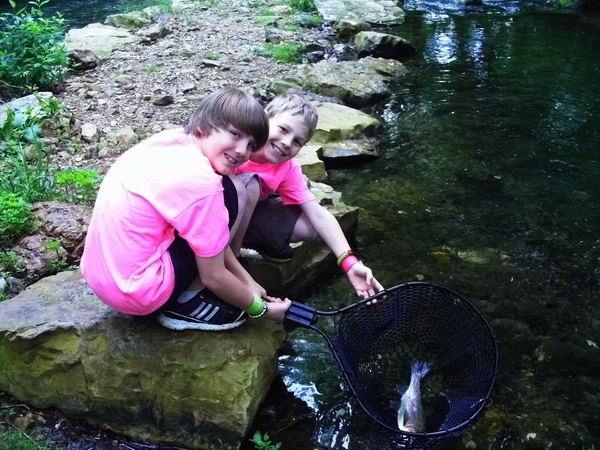 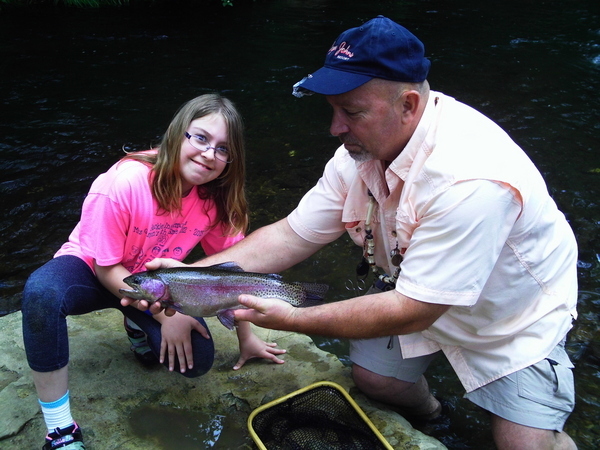 Sponsored by "Friends of the River", this program brings volunteers together with eager 4th graders, and the volunteers teach the 4th graders beginning fly fishing. 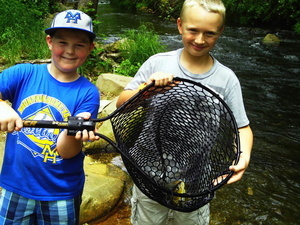 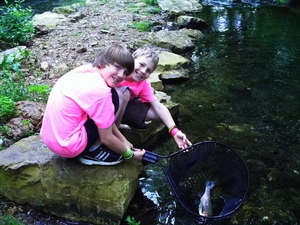 Fish caught are promptly returned to the creek.